Mid-February Cheryl visited our daughter Iris in McCall Idaho, where she was living at the time. 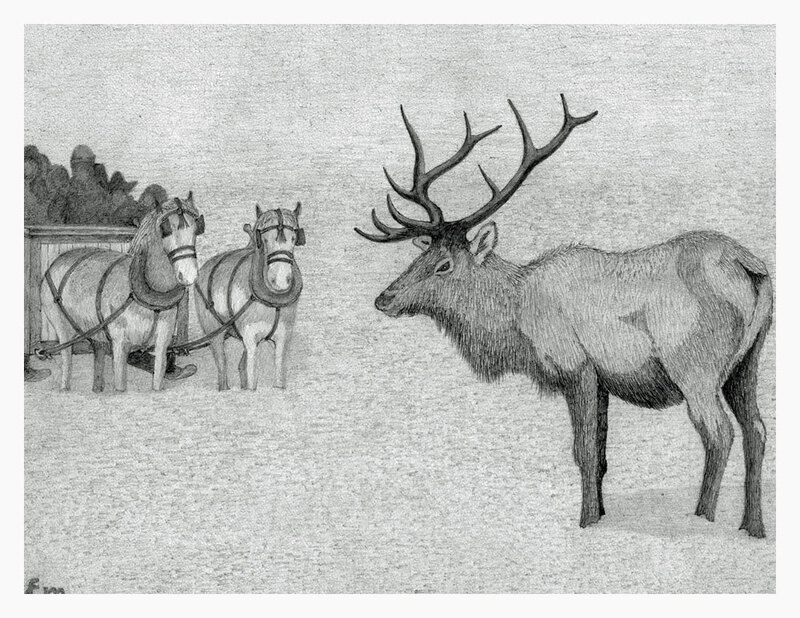 When Cheryl returned, she told the story of riding in a hay wagon into a meadow where they fed at least 100 Elk. The image was really powerful, so we decided to try and recreate the scene in music/story. For us, it spoke of sharing, compassion, love, and caring for the incredible natural wonders around us—such a simple act with such a powerful result.